Just like some people require accommodations and assistance to complete day-to-day activities, pets are no different. Whether it's a physical disability, chronic illness, severe injury, or another long-term health condition, pets who are specially-abled can lead happy, productive lives with the right care and equipment. Specially-abled pups and kittens are loveable and tend to melt our hearts. However, adopting such a pet isn't for everyone, and it’s not a decision to take lightly. Pets with special needs take lots of time, energy, and financial resources to provide the proper care they require. Before you decide to bring a specially-abled pet into your home, you need to make an honest assessment of yourself and your lifestyle to make sure you are currently in a position to commit to a successful adoption. It's okay to decide that maybe now is not the time or that your lifestyle isn't one that could accommodate a pet with special needs. What’s important is that the pet finds the right home, where they can thrive and experience a high quality of life. This means that it is crucial to make an adoption decision using your head rather than your heart. Research – No pet is the same and they all have their own unique needs (and personalities!). 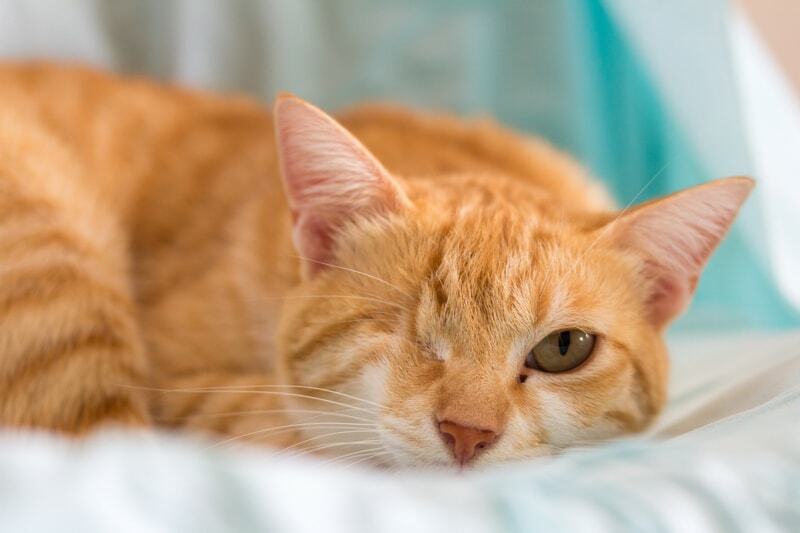 Before you adopt a pet with special needs, do your research and understand the ins-and-outs of the cat or dog’s condition, their care requirements, and anything else they may need on a day-to-day basis. Will your new family member require any equipment like a ramp or dog or kitty wheelchair? Will they need to be fed a certain diet? Do they take daily medicine? You will want to know as much as possible before you decide to move forward with the adoption. Time – Between daily walks, grooming, and playtime, pets are time-consuming and depending on the need, a specially-abled pet can require much more attention. For example, if your pet has gastrointestinal issues, they may require assistance going to the bathroom or need to wear a dog diaper. This requires changing, cleaning, and, of course, putting the diaper on your pet. If your pal has mobility issues, special exercise or equipment may be necessary, and either of these requirements will take added time. For some pets, the needs may be a bit more demanding – physical, emotional, or both – and can eat up considerable chunks of your time. Finances – From food to routine medical check-ups, sharing your home with a healthy, well-adjusted pet costs a decent amount of money – it's just part of being a pet parent. But caring for a specially-abled pet, one that may require medication or specialized equipment, can be downright expensive. A doggie wheelchair can cost more than $500 by itself. If your cat or dog has a medical condition that requires frequent trips to the veterinarian, that can add up as well. Even smaller items, like diapers or medication, are going to cost money that you normally would not spend on a pet. This is why it’s important to be honest with yourself regarding your ability to provide everything a pet living with disabilities would require if you choose to adopt one. The type of care your special needs pet requires will obviously depend on their medical issue, be it physical or psychological. In general, it's a good idea to know and discuss your pet's particular needs not only with a veterinarian, but also, and based on necessity, a trainer, a behaviorist, and anyone else who may be of assistance or support when it comes to the care of your pet. Routine – Establish a routine for you and your fur kid. This creates a sense of comfort and gives them reasonable expectations for their daily activities. This can include when they eat, go to the bathroom, have a treat, exercise, and so on. Training – Specially-abled pets and their people may both need to go through some training, so they can work together to have productive lives. Consider this: Deaf or blind animals need to communicate through different methods, and their pet parent will need to learn specific ways of speaking with them. Pets with amputations or others issues, like obesity, require nontraditional exercises or even therapy. Learning new behaviors and skills may be a part of a specially-abled pet's care, and not just for the pet, but the pet parent too. Patience – We all know that patience is a virtue, and this may never be truer than when living with a differently abled pet. The daily activities and care for such a pal will, simply put, just be different. They may require more from their pet parents. They may do things more slowly. And they may even have emotional issues or exhibit behaviors that are, well, unusual. It’s important to be patient when you’re working with them and setting expectations – for you and your pet. With more than 2 million social media followers, Tuna is a very famous Chiweenie. This is because of his unusual looks: an extreme overbite, recessed jawline and an incredibly wrinkly neck. People have fallen in love with Tuna, and his adopted pet parent, Courtney, has turned his unexpected fame into a mission. Through his social media platforms and, of course, charm, Tuna and Courtney promote animal rescue and adoption, while also showing everyone that beauty comes in many shapes and sizes. Lil Bub, the runt in a litter of feral kittens found in a shed in Indiana, was born with several genetic disorders, including dwarfism, which affects the size and proportions of her body. Lil Bub has a long, slender body, short legs, six toes on each paw, an underbite, a protruding tongue, and some gloriously green bug eyes. Shortly after turning one, Lil Bub was also diagnosed with a rare bone disease that causes her bone density to increase with age. Despite all of these medical setbacks, Lil Bub lives a happy life with her adopted family. Bub also advocates for special needs and homeless kitties, and she has raised more than $200,000 for several charities. Tuna and Lil Bub are just two examples of the many specially-abled pets who have overcome their unique challenges and gone on to live happy and healthy lives with the helping hand of their generous pet parents.